When he was in senior high school, he participat- ed in the Declaration of Independence at Pagoda Park in 1919. He was arrested by the Japanese police for interrogation and was released in two days. Once released, he burned all the books written in Japanese and did not return to the Japanese public school. He was arrested again on suspicion of publishing anti-Japanese leaflets. However, he was set free again in two weeks. Then, in 1921, he exiled to Shanghai, China and got involved in Korean independence activities. He arrived in Los Angeles in 1923, then to Chicago and joined the Korean Comrade Organization with Syngman Rhee and Ben C. Limb. He worked tirelessly for the international recognition for the Provisional Government. 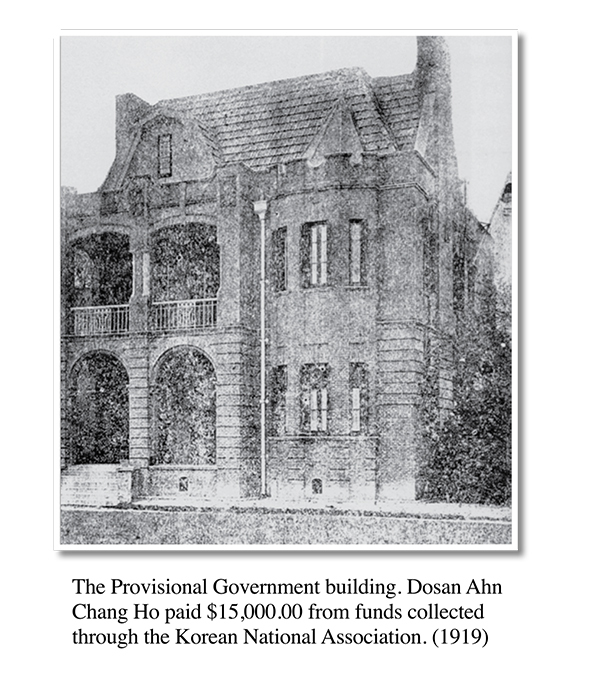 In 1990, the South Korean government posthumously recognized with with the Order of National Foundation / Patriotic People Award for his unwavering contribution to Korean independence.